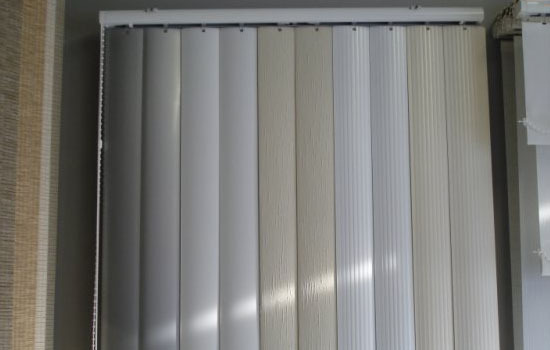 Vertical Blinds are the most versatile and stylish blind suitable for any environment. 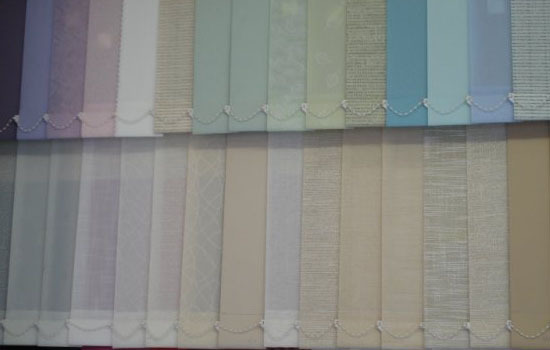 Ideal for Bay Windows, Patio doors and Conservatories. 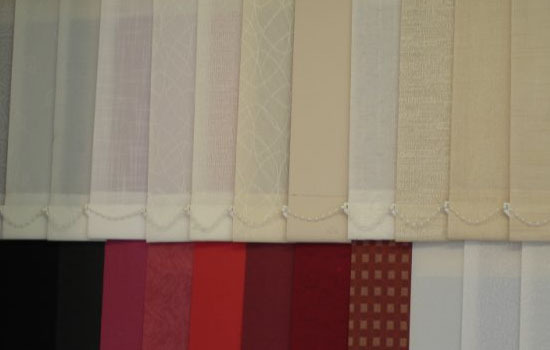 The blinds can be drawn back for maximum light or angled to protect furniture and privacy. 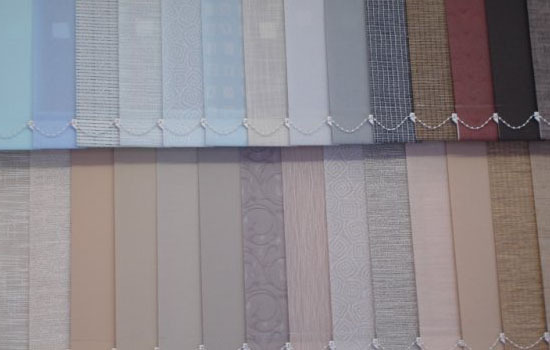 We offer a wide range of fabrics in contemporary or functional styles, also available are blackouts and ridged louvers. 89mm & 127mm slat widths. 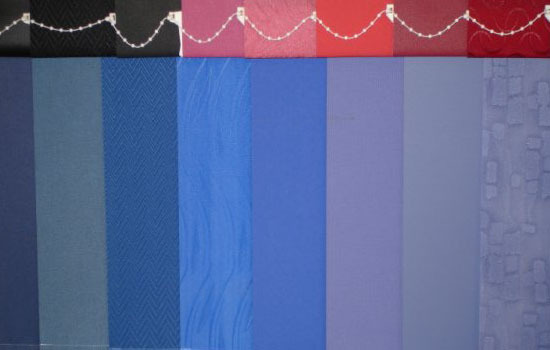 Ideal for bays, conservatories & patios. 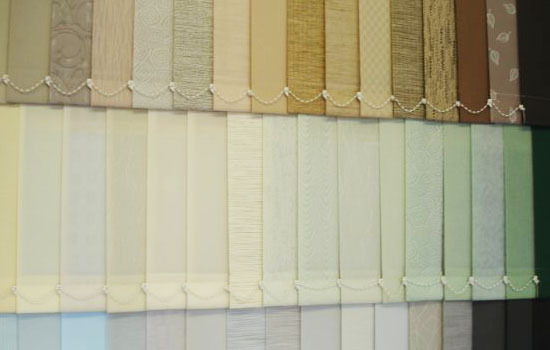 Change just the slats whenever you redecorate. 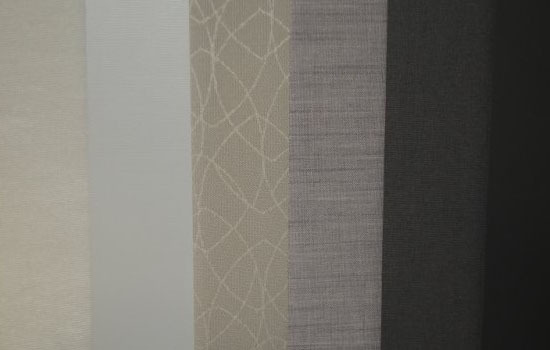 Wide selections of vertical blind samples are available in our showroom. 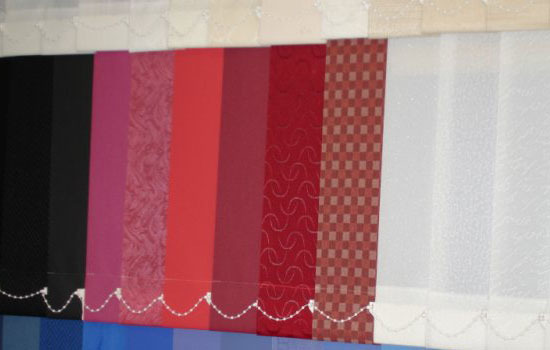 Below is a range of examples we have available.